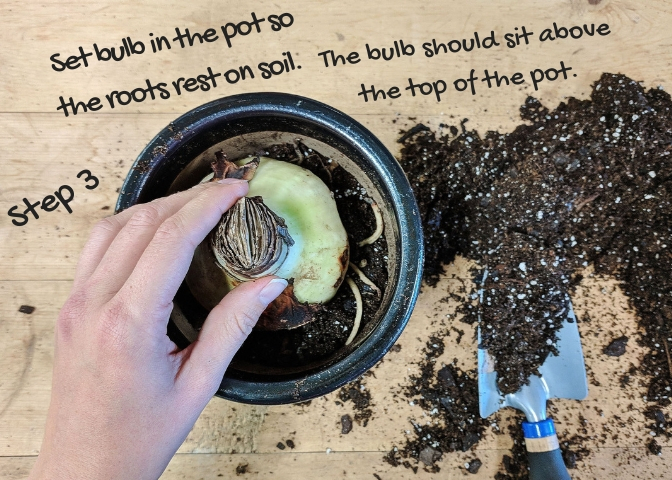 Plant or restart your bulb 6-10 weeks in advance of when you want it to bloom. Select firm bulbs – the biggest you can find. 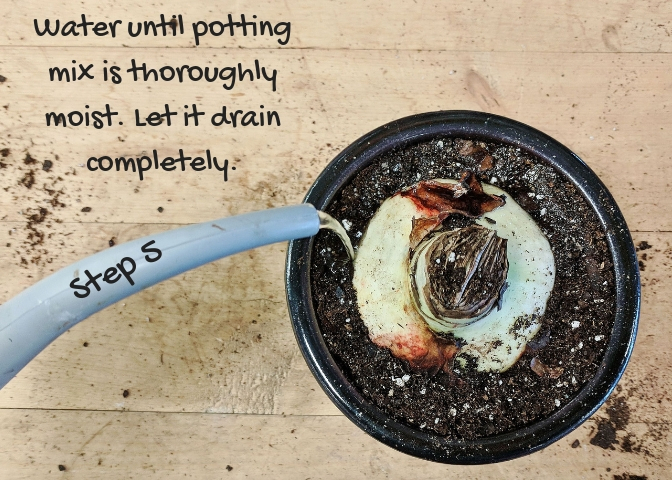 Use any pot, with drainage, that is about 1-inch wider than the bulb. 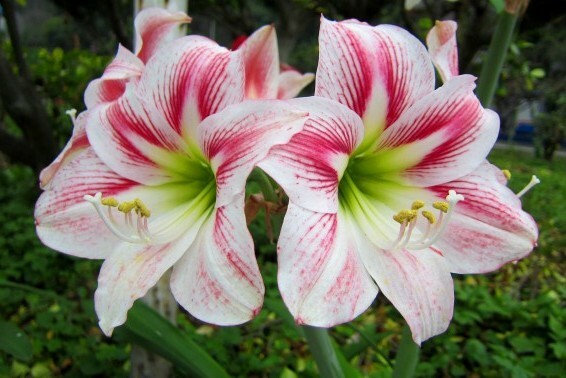 Or, try a larger container with several amaryllis for a more stunning display. 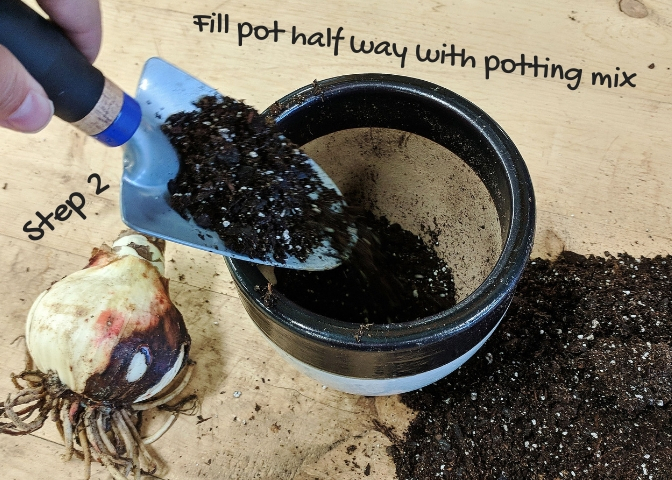 Fill the pot 1/3 to 1/2 full of good quality potting soil, set the bulb on top of that and then fill the pot with soil so the 1/3 to 1/2 of the bulb is exposed. The soil can be topped with the moss, evergreens, or an decorative item. Water well to settle the soil then water sparingly until active growth is visible. 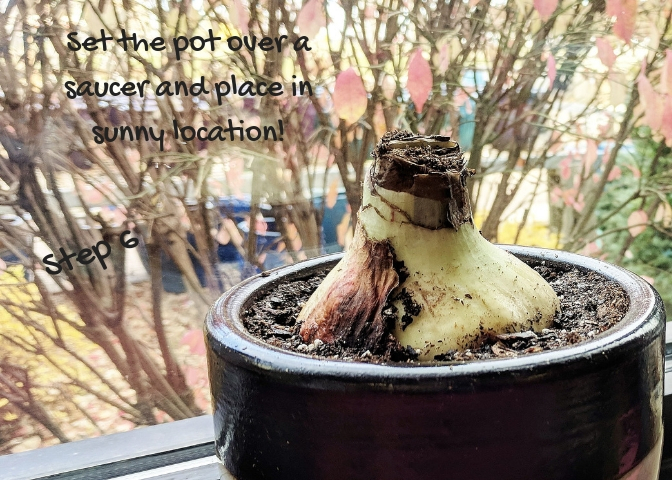 Place the pot in a warm, sunny spot and the flower stalk will begin to emerge. You can then move the pot out of sun once it starts to flower. The flowers will form at the top of this stalk. 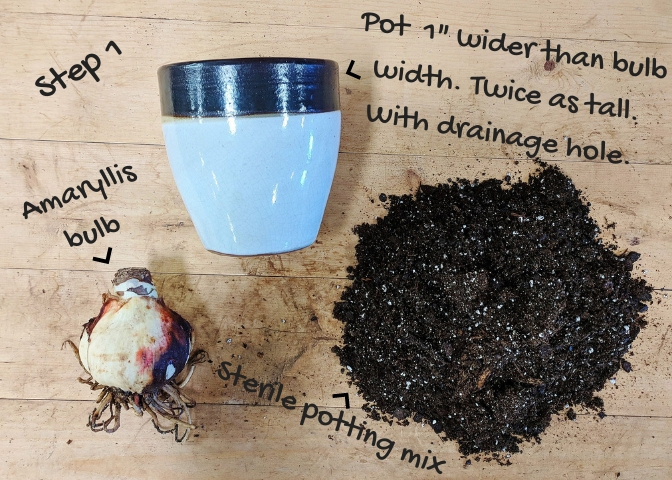 Read more about growing and caring your Amaryllis and download our Amaryllis Care sheet! Read the UMN Growing and Caring for Amaryllis. 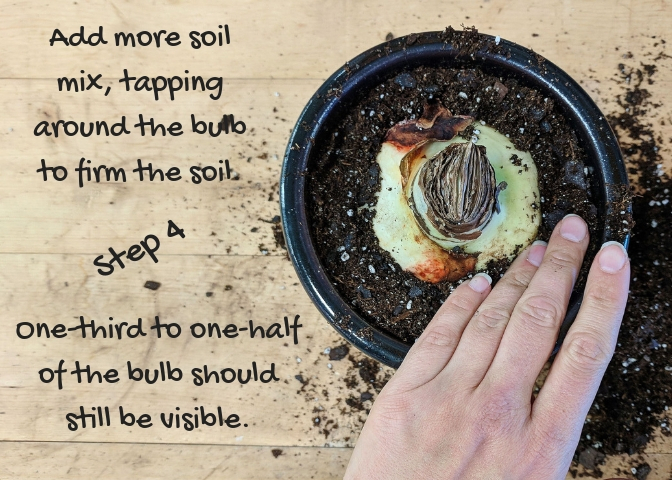 You can bring them outside for the summer and also let them go dormant during the year.